Utviklet for å være verdens beste trådløse headset! Tilfredstiller Skype for Business Open Office kravene. Avansert noise-cancelling mikrofon og høyttaler gir krystallklare samtaler selv i støyfylte omgivelser. Sikker trådløs forbindlese med 256-bit AES kryptering og 128-bit authentisering. 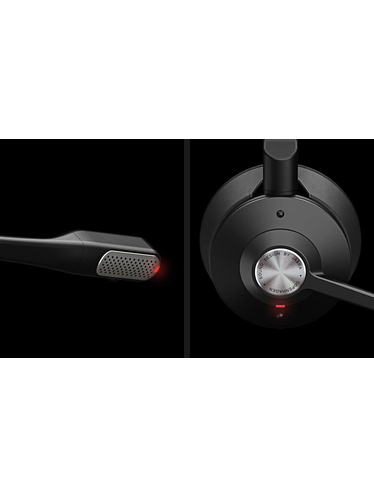 Mindre forstyrrelser med busy light på headset. Can I use my headset while it is charging? For safety reasons, you should not use your headset while it is charging. Allow it to charge fully, disconnect it from the charger, and then your headset is ready for use. How do I get rid of the echo in my headset? 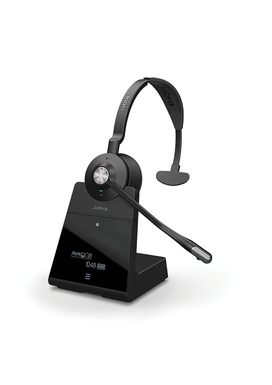 Make sure you have configured your headset to obtain the best possible audio with your desk phone, and positioned your microphone close to your mouth. 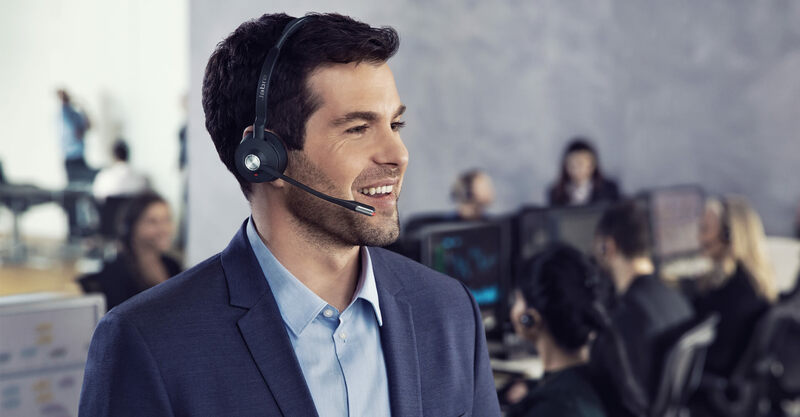 The volume on your desk phone should be set halfway, and it should approximately match the volume level of the microphone on your Jabra headset. 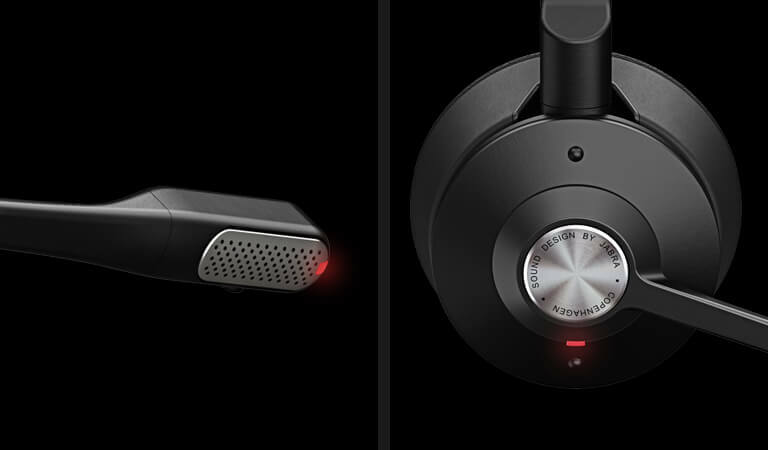 If you are still hearing an echo, the microphone volume on the headset may be set too high. 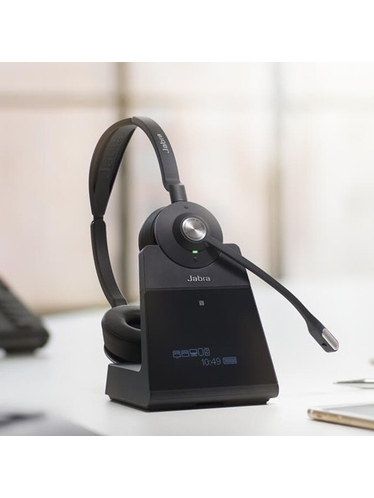 Refer to the quick start guide or user manual for your Jabra device for specific instructions on how to adjust these settings. Try to decrease the microphone volume, one step at a time, while you talk. As the volume of the microphone decreases, the echo will also decrease or be eliminated. 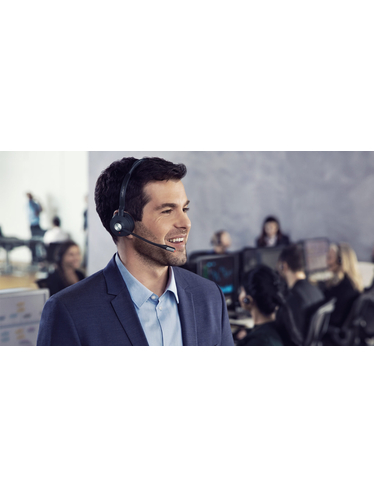 How do I access and change settings for my Jabra device and keep it updated with the latest functionality and performance improvements? 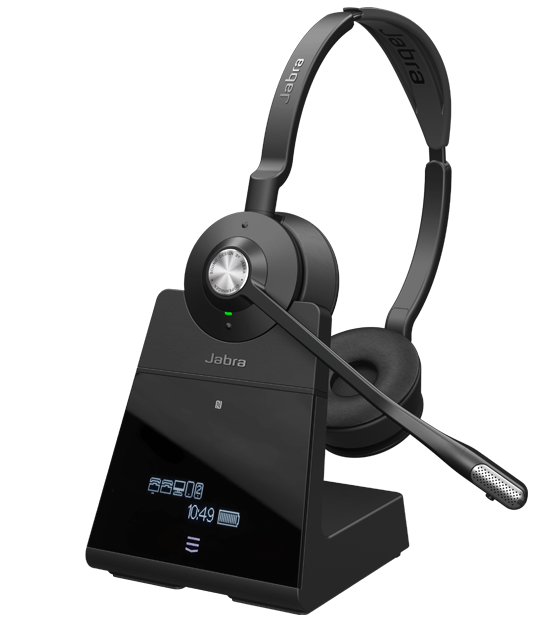 Jabra Direct Download Jabra Direct, our complementary software. Using Jabra Direct, you can customise settings for your device. Click here to go to the Software download section. 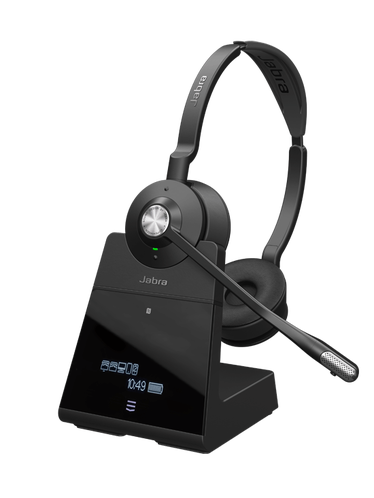 How do I reset my Jabra device to the default settings using Jabra Direct? 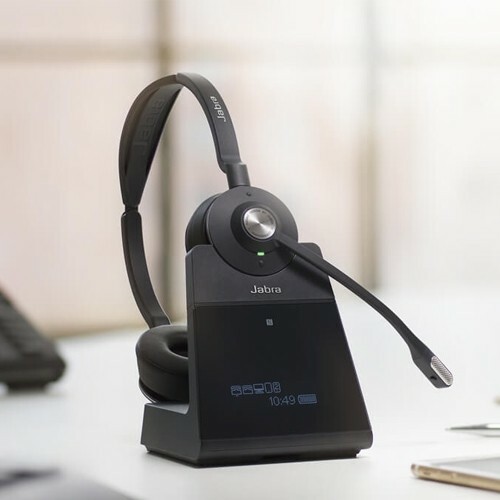 Prerequisites Jabra Direct When you reset your Jabra device to the default settings, the previous settings will be deleted. To reset your device using Jabra Direct, use these steps: Note: The following screenshots illustrate the reset steps in Jabra Direct. 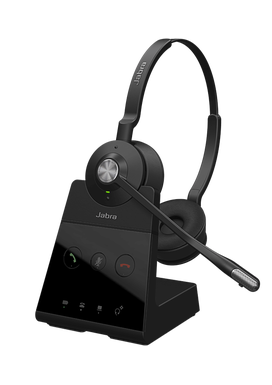 Your Jabra device may differ from the one shown, although the steps in Jabra Direct are the same. 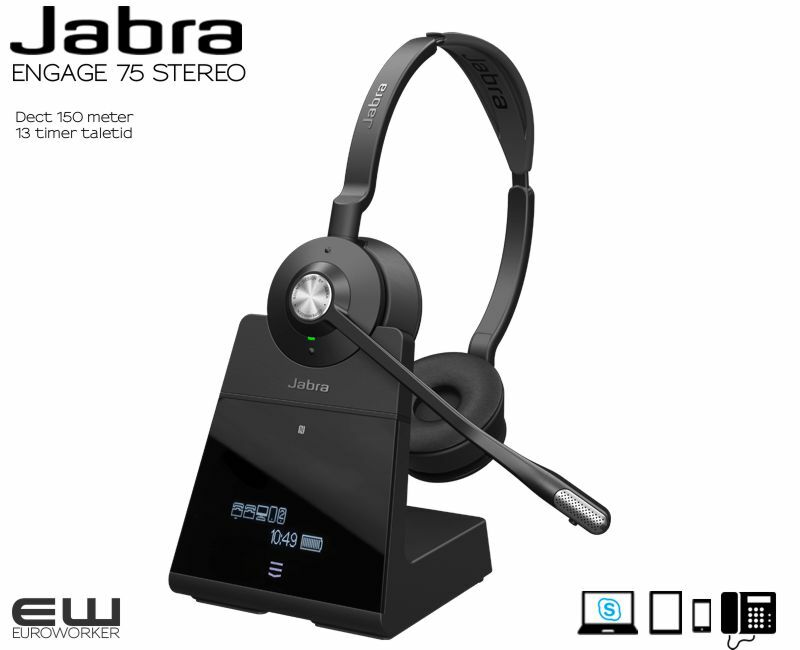 Open Jabra Direct. Click Device settings. 9470_JD_device settings Click Options. 9470_JD_options Click Restore default settings. 9470_JD_restore default settings Click Apply. 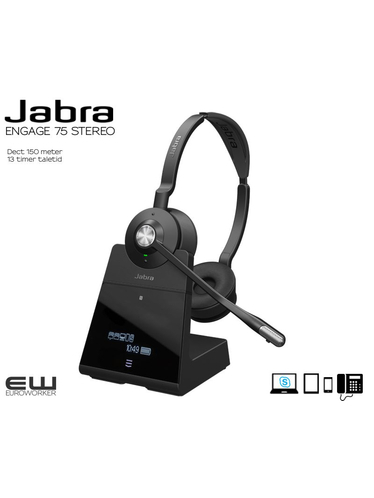 Note: To reset the Jabra Evolve 65/75, it must be connected to a PC using a USB cable.